AM Professional Waterproofers And Concrete Contractor, Inc. Comment: Just starting to research, what is the best thing to do. Driveway is 38 years old and uneven with some cracks on some of the slabs and signs of wear. It is a long driveway and angles to the garage. There is a grade to it. Comment: 14x18 patio area that is cracked and sinking inward towards the condo. Another company told us it had to be raised 4 inches. We would just like to redo everything, fix the problem, and get new concrete whatever is the most affordable! Comment: Driveway has areas that are not level and need to be adjusted. Rochester Concrete Contractors are rated 4.66 out of 5 based on 1,533 reviews of 62 pros. 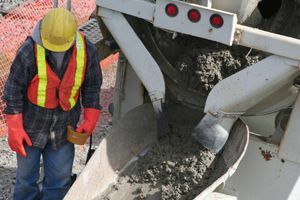 Not Looking for Concrete Contractors in Rochester, MI?